Hello, hello our dear friends! 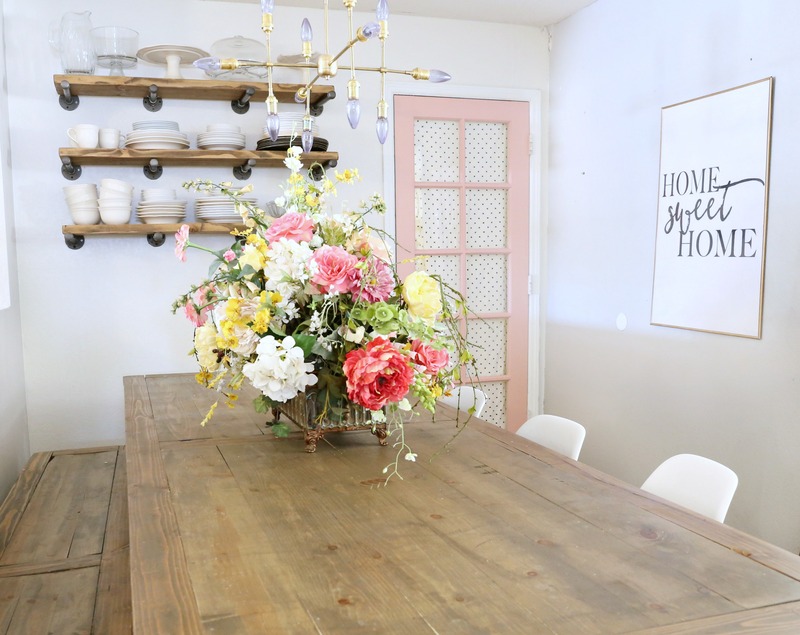 We are so excited to share Savannah’s dining room refresh we did recently! 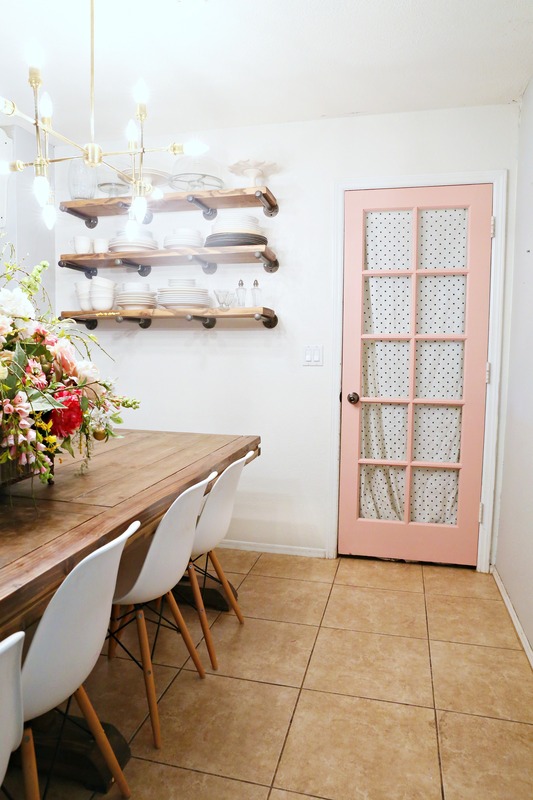 We are pumped because A. we painted a door our current favorite color, blush pink. 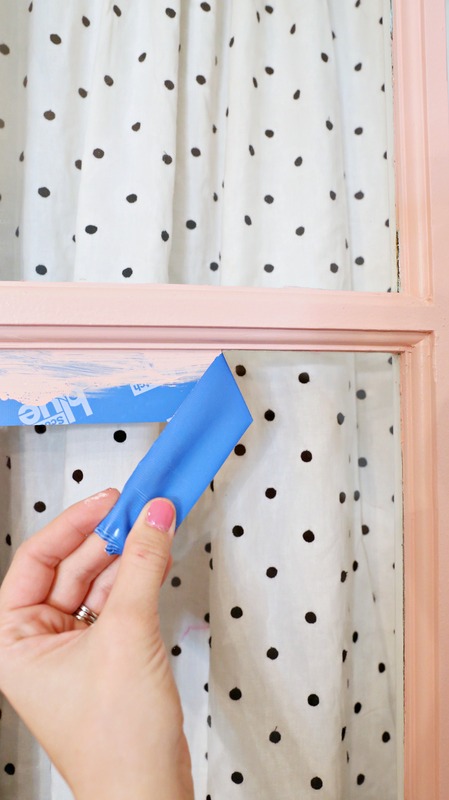 Learn how to paint a door here. B. We got to do a project together since I moved. C. We have a new video for you! Yahoooo! 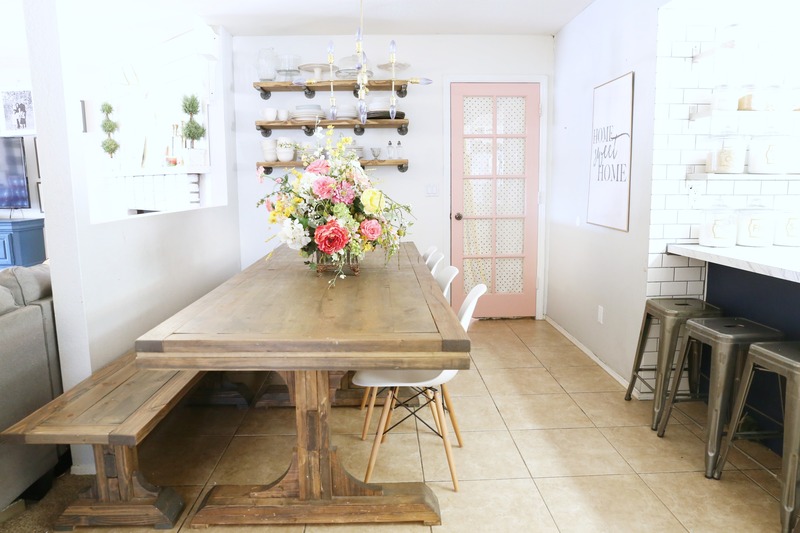 Now, this living room “Before” is definitely not your typically before photo because obviously it’s gorgeous. Savannah just wanted a lighter, brighter feel and something that felt “new”. You know when you’re stuck in a rut in your house but don’t really need to change anything? 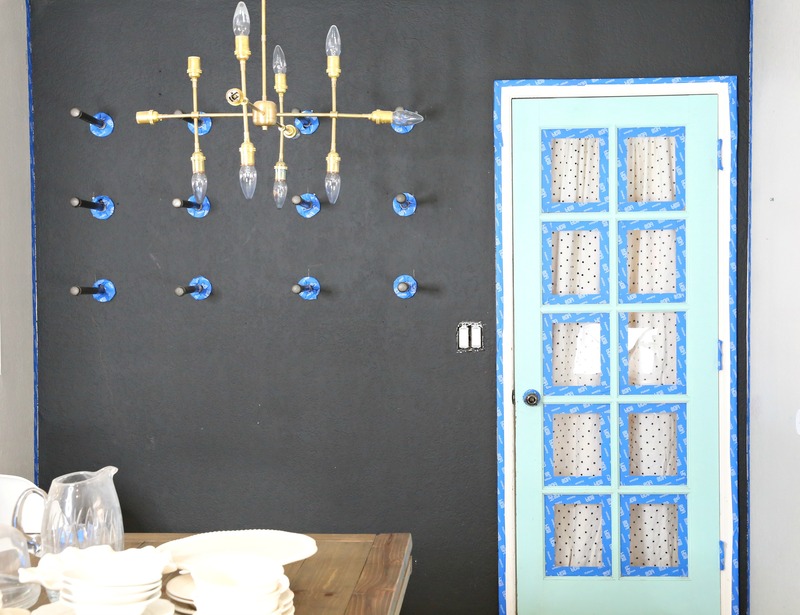 A simple coat of paint on an accent wall or a fun colored door gives you a new, fresh feel without redecorating! 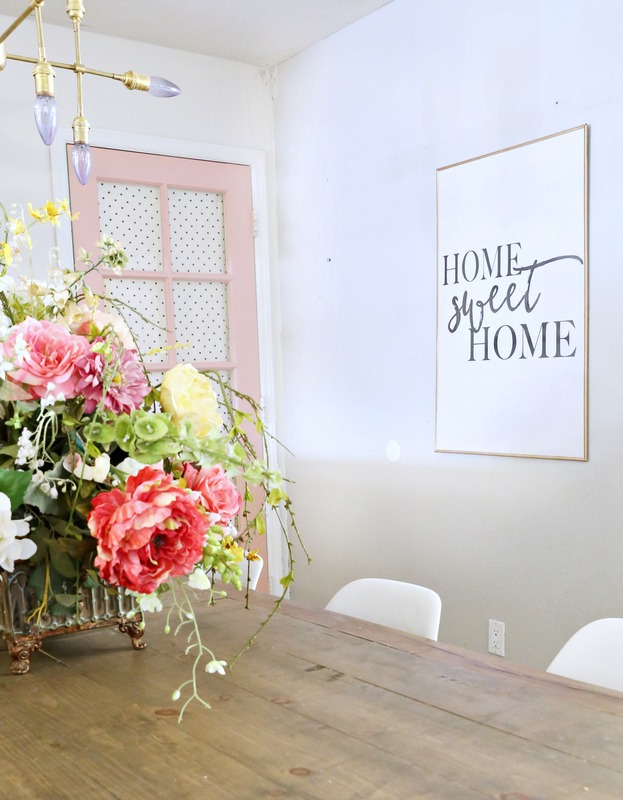 We’re going to show you our tips for a quick room refresh. Let’s do it! 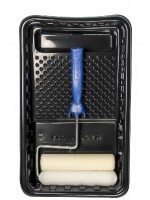 TIP: Be sure to follow all ScotchBlue™ Painter’s Tape package instructions for proper surface cleaning and prep, adhesion and removal. 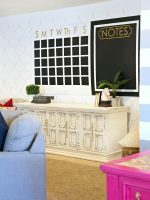 Step 1: First, remove any décor, furniture, or clutter from your workspace. You’ll want everything out of the way. Step 2: Second, clean your surface to remove any dirt and oils from your workspace. 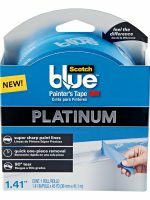 Don’t forget baseboards, trim or anywhere you will be using the ScotchBlue PLATINUM Painter’s Tape. Any all-purpose cleaner will do. Make sure it’s clean and dry before you move on. Step 3: Next, Remove any light switch or electrical outlet covers. Place them in a sandwich bag so you don’t lose any tiny screws. Step 4: Next, start masking off any surfaces you do not plan to paint using ScotchBlue PLATINUM Painter’s Tape. 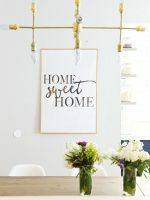 This includes, other walls, baseboards, trim, glass, doorknobs, hinges, etc. 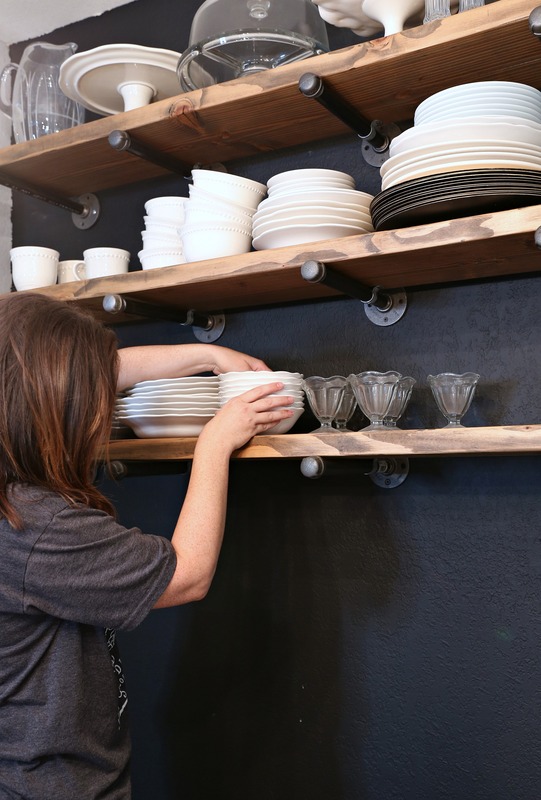 We opted to leave the shelf brackets on the wall because they were a beast to hang in the first place. ScotchBlue PLATINUM Painter’s Tape made it super easy to mask them. 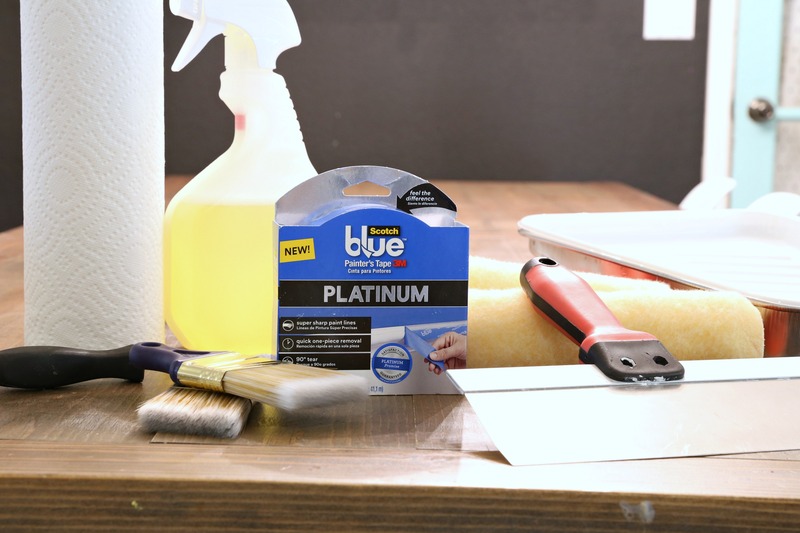 Step 5: Using a putty knife or 5-in- 1 tool, press and seal the ScotchBlue PLATINUM Painter’s Tape. This step is crucial if you want a clean, crisp line. 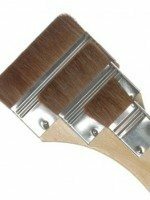 This keeps your paint from bleeding. 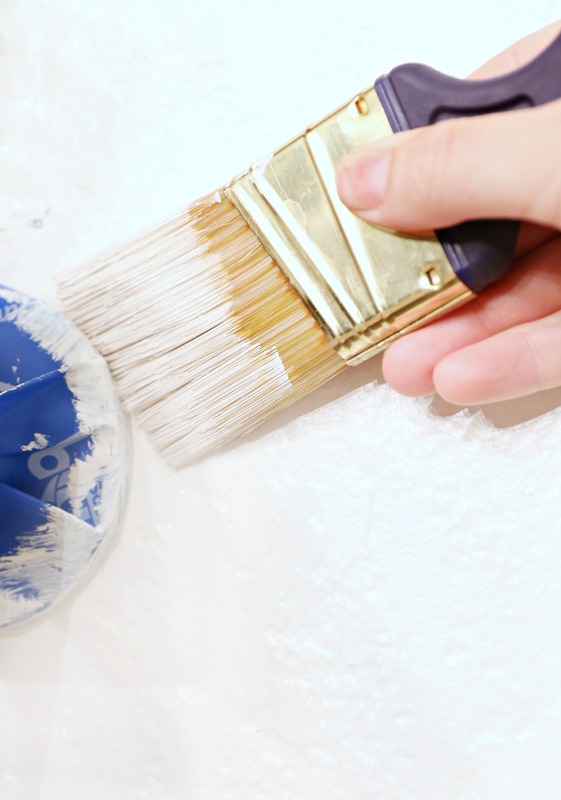 Step 6: Paint the walls (and door) with a quality paint brush and or paint roller. Step 7: Remove tape by pulling the tape back on itself and removing at a 45-degree angle while paint is still tacky. Now, everyone’s favorite part! You’re done! YAY! 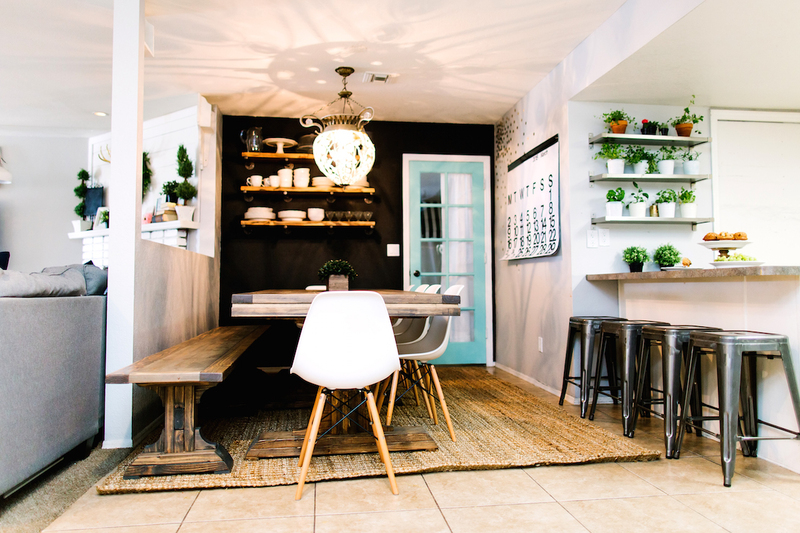 We love how the light colors brightened the space. We hope you enjoyed our room refresh! Isn’t it so bright and fun? We are excited to be 3M-sponsored bloggers. 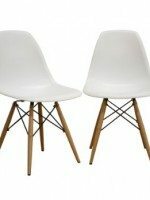 Opinions are my own and additional products used in the project were selected by us. 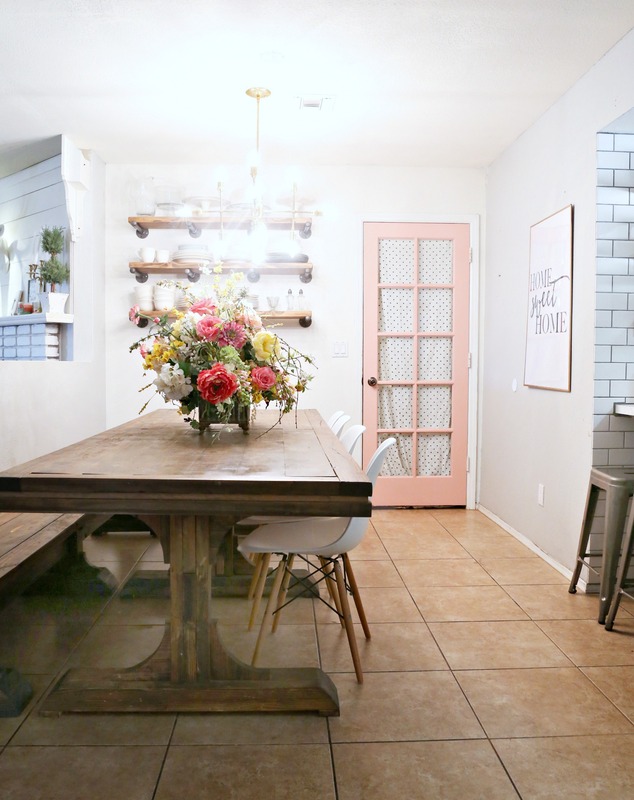 Oh I love it, the pink is fabulous and the white makes the space come to life. Like a miracle, how wonderful some white paint and door being painted could change room so incredibly. 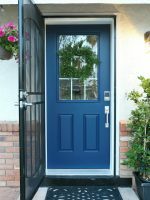 Not pink person but door looks fantastic. 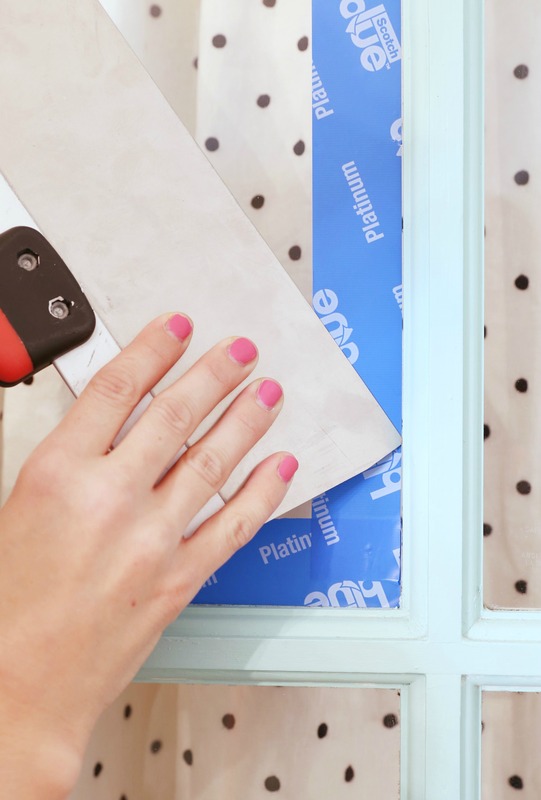 Don’t think painting door with several panes would be my favorite job but you did great one. Love how room looks, was so dark, dreary looking before, sorry. Wow, it looks even more incredible than before! 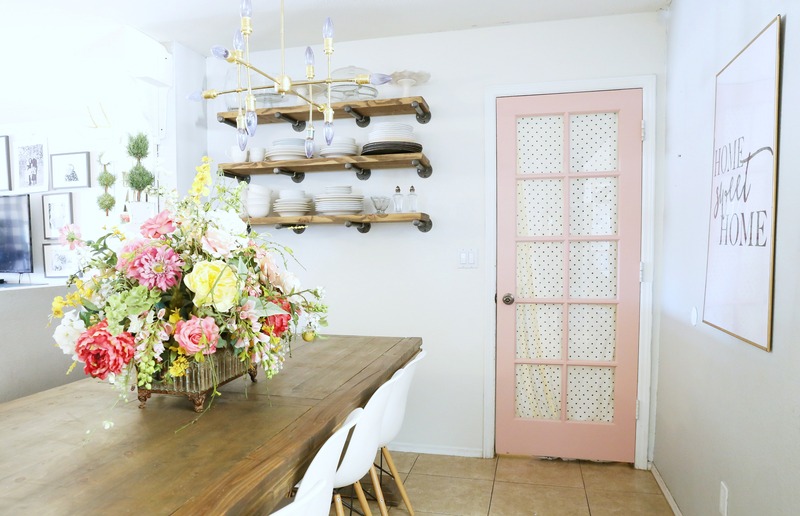 I love the soft pink you chose for the door, and the flowers are a great accent! Great job! It looks amazing! How did you cover that dark wall with one coat of paint?? What kind of magic is this? And can you share the paint colors used here. Looks beautiful.